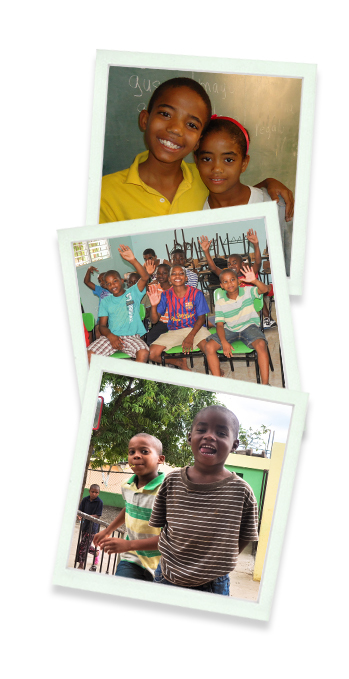 The Boys Shelter Higuey was founded 14 years ago by a caring family. Since then, over 40 boys have come to the shelter, received an education, and also been provided good nutriment. Not all of the boys at the shelter are orphans; some simply have families that are not able to provide good care for their sons. This shelter is a life-changing chance for these boys to get good education and learn helpful skills, which they can then use later on to help their very own family. This house is included as a stop for our guests on our Go Yuma tour, and the guests are able to spend some time with these kids and learn about Dominican society. During these stops we bring food supplies and other needs as part of a donation program that is included in the tour price. But, as you can imagine, that’s not nearly enough for 25 boys who need clothing, toys, and school material throughout the year. El Salado is a rural clinic where doctors and nurses take care of over seven nearby villages with 30,000 inhabitants. The nearest hospital is over an hour away. At the clinic, the patient has to purchase all needed material in a pharmacy before the patient can be seen by the nurse. Basic medical supplies can make a big difference here. Working with local hospitals and doctors has been such a positive experience that we are looking forward to expanding our project to other small communities in the area. Canada Honda, El Isleno, and El Cano are rural schools in three village serving 220 children from the ages of 6 through 14. They are often missing basic learning materials and school supplies used to create a fun and interesting learning environment. School is free in our country, but uniforms and school materials have to be provided completely by the parents. We want to ensure that every child has the same chance of education in order to later help their families and better their living situation. The Niños de Cristo la Romana Orphanage is located in the south of our beautiful island and is home to approximately 25 boys and 150 girls. None of these children are adoptable and a group of volunteers assures a loving and healthy environment for them. Most of these children have been abused verbally, physically and some of them have been abused sexually. They have been given a second chance to a great childhood here at the orphanage. This orphanage is financed by Charlie Decker from New York and is a non profit organization. He covers the cost of food, expenses, and employees’ salaries, but a little extra help is always welcome when it comes down to clothing, toys and school materials.